4.Losses arising from any delay, detention, confiscation by customs officials or other public authorities. 5.Loss due to complete/partial damage of the checked-in baggage. 6.Any checked-in baggage loss in the Republic of India. 7.Any exclusion mentioned in the 'General Exclusions' section of this Policy. The Company shall compensate the Insured for expenses incurred on acute anesthetic treatment of a natural tooth or teeth during a Trip abroad but not exceeding the Sum Insured for the coverage as mentioned in Part I of the Schedule hereto. The deductible excess in respect of this benefit will be applicable for each separate claim, and shall be of an amount as specified in Part I of the Schedule to this Policy. 6.Any costs incurred in connection will cancer treatment, unless the medical assistance provided abroad involves unforeseen emergency measures to relieve acute pain. 9.Any exclusion mentioned in the 'General Exclusions' section of this Policy. * Deductible of US$ 100. 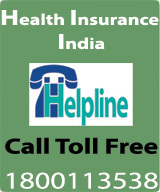 This deductible is applicable on per illness (complete treatment) basis and not on per visit to the docto / hospital. ** Deductible of US$ 50 - Applicable for each separate claim. # If not a pre-existing disease. The Company shall compensate the Insured for the total loss of checked-in baggage specified on the trip abroad. The payment for this benefit will be limited to the travel destinations specified in the main travel ticket from India and return trip back to India during the trip abroad. All halts and via destinations included in this main travel ticket will also be considered for payment under this benefit. 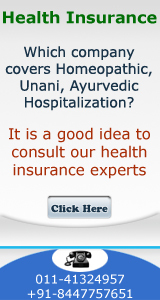 The compensation will not exceed the Sum Insured for the coverage as mentioned in Part I of the Schedule hereto. The deductible excess in respect of this benefit will be applicable for each separate claim, and shall be of an amount as specified in Part I of the Schedule to this Policy. (a. )Maximum amount payable per checked-in bag, in case more than one bag has been checked-in, is 50 % of the applicable Sum Insured. In case of only one bag being checked-in, the amount payable is 100% of the applicable Sum Insured. (b. )Insured has provided all reports, documents and other details concerning the loss to the Third Party Administrator. For the purposes of this Benefit, "market value" is the sum required to purchase new items of the same kind and quality less an amount representing wear and tear, usage, etc. at the time of loss. 2.In the event that the Company makes any payment or reimbursement under this benefit, it is a condition of such payment that any recovery from any carrier by the Insured, or on behalf of the Insured, under the terms of the Convention for the Unification of Certain Rules Relating to International Carriage by Air, 1929 ("Warsaw Convention") shall become the property of the Company.